One of the deepest mines of any kind in the UK now has the largest Enhanced Frequency Unit in Europe (EFU) thanks to the services of EPES. EPES have worked closely with Clevland Potash/ ICL at Boulby Mine for over sixteen years carrying out HV maintenance, repairs, and installation work for both surface and underground installations. 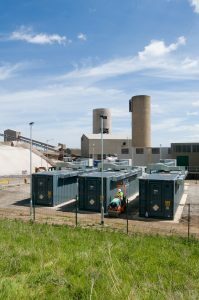 Over the years we have built up a good understanding of the site and therefore jumped at the chance to tender for the installation of the 6MVA Battery Project. 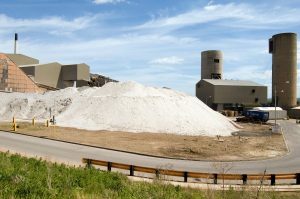 Following lengthy meetings and contractual discussions and agreements EPES were appointed and awarded an order to carry out the electrical and civil design, and installation of the 6MVA Battery Project at Cleveland Potash in conjunction with Alevo USA and Parker Hanafin USA. 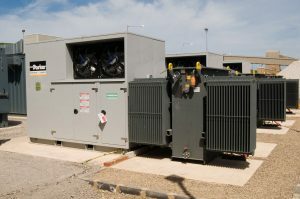 The battery unit consists of 1 x 500KVA 11-415V Auxiliary transformer, 3 x 2.2MVA 11-475V step-up inverter transformers, 3 x 2000A inverters and 3 x 2000A/1000V DC battery grid banks. 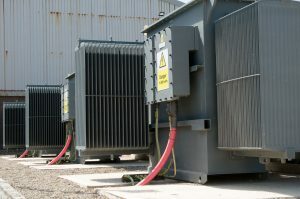 EPES had the transformers built in the UK to the exact specification for the inverters. These were built by Bowers Electrical, EPES’ sister company ensuring EPES could stay involved in all aspects of design and build and regularly witness testing of the units. 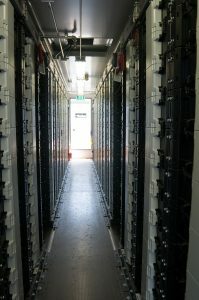 The HV switchgear was provided by Schneider CE range. The circuit breakers provide local isolation and protection to the inverter transformers. The main 11KV supply for the auxiliary and the 6MVA battery unit derived from ICL’s main 11KV substation. EPES carried out all the HV cabling, LV distribution, compound lighting, DC cabling, fibre installation, testing and commissioning including G59 protection to National Grid. Work started in late 2016 carrying out the civil works and work started in earnest on site in June 2017 and by late July 2017 EPES had contractually completed their contractual obligations some two months ahead of schedule. The site has been tested and commissioned and is expected to go into service in October 2017 with its main function being enhanced frequency response making it the largest EFR unit in Europe and its secondary function will be to assist ICL with its Tri-ad agreements during the Winter months. The site has been visited and inspected by an independent engineering company, the ECA and HMI, all who have commented on the high standard of the installation works carried out by EPES. EPES entered into these works with a vast knowledge of HV systems and works, and a limited knowledge of battery systems. 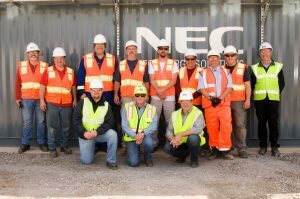 We have as a company have gained a massive amount of knowledge and data, and experience in the operation and maintenance of the 6MVA battery unit and will stand EPES in good stead with any future projects of this kind.